Giovanni N. Dortch is a Scholar, Activist and Entrepreneur. 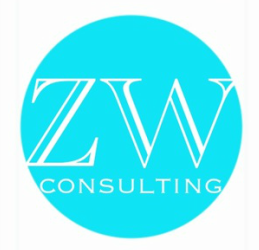 As founder of Zenzile's Way Consulting, she also serves as a Speaker, Writer, Editor and Coach. Zenzil﻿e﻿ means " a woman who walks through the world with her own things" or "she has done it herself." Always an advocate of independence and empowerment, it was Giovanni's only choice for her business name. A natural communicator, and public speaker since her teen years, the development of a communications consulting company seemed to be an expected career path. Although, for Giovanni, it was anything but an expected or direct path. After becoming a mom, working in human services, and grad school it wasn't until a job loss that Giovanni considered entrepreneurship. Interested in restoring her own health and wellness after a particularly devastating breakup with the father of her children, she began to seriously study and practice yoga, completing her certification at the Southern Institute for Yoga Instructors while in grad school. She was always an advice giver with a keen understanding for problem solving and began to explore life coaching, It wasn't until one day, engaging in her favorite pastime of reading that everything fell into place. The book was intriguing, well written, and with just enough social commentary to pique the budding sociologist's interest. However, it needed editing. In a brave step, she actually emailed the author and told her about how much she enjoyed the book and would love to edit it if the author decided to complete a second edition. 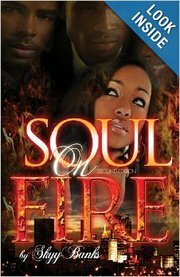 The author jumped at the opportunity, and Zenzile's Way Consulting began. In its four years, the organization has expanded services and completed work that we are proud of, consolidating our brand as consultants for "Transcendent, Authentic, Distinct Communication"
​Malaika Salaam is a Mother, Educator, Writer and Activist. As a Consultant for Zenzile's Way through her partnership in Maqhu Media, she is a Social Media Specialist, writing, strategizing, implementing, and curating content to assist clients with meeting their goals. As the Founder and Head Blogger for Purple Hair and Converse, Malaika took her years of working as a Writer, Publicist, and Entertainment Manager and stacked them into a high performance skill set that translated well from traditional media and marketing to the digital world. The transition from Writer to Social Media Manager has been a path created by being willing to learn and embrace new technologies to continue to remain relevant in the way people consume content. As a student, Malaika was a founding member of the Creative and Editorial team that created WHUT! Magazine, as an alternative to the school and local news, that focused on Current Events, Music, and Fashion. Her work at the zine and unique interview style got her an invitation to come on board growing urban label, Diamond Cut Records, as their Publicist. Her work there included shaping the early image of future Rap Artist & Producer, Nakia Shine, getting the group Lost Innocence an invitation to perform at the MTV Sports & Music Festival, and interviewing Jay Z and Method Man. While finishing her education, Malaika continued to write, publish and work as a Talent Director for a Memphis marketing and entertainment company. After graduation she went on to teach at the middle school level, while raising her own children. The closing of the school where she worked and a mounting dissatisfaction with the climate of public schools was the catalyst for Malaika Co-Founding the HomeScholars Unlimited Homeschool Co-Op. Malaika Homeschooled both of her children along with several others while at the helm and before relinquishing control and stepping back into an advisory position. In 2010, Malaika went through a complete life upheaval when her 2nd marriage ended and she and her children were homeless. She enrolled in a transitional housing program, where they weren't equipped to assist her with employment or education because of her existing qualifications. During that time a counselor spoke to her candidly and suggested she start her own business... And that is what she did. From a shelter she launched an entertainment management group, who's roster included two of the winners of Memphis' Funniest Person contest. The endeavor drew her closer to her first love again, writing. Writing being the pivotal means of communication in which she created synergistic relationships with entertainers, venues, and audiences. That endeavor also brought her full circle to a working with a group that she had followed and admired for years, which then led to meeting and forming a bond with her current business partner Giovanni N. Dortch. Malaika saw Giovanni's focus, transparency, clear communication, and authenticity as both a complement and tool for growth. It seemed Giovanni's calm balanced Libra demeanor also balanced Malaika's sometimes idealist leanings. The partnership of the two women led to another dynamic venture for them both, Maqhu Media. 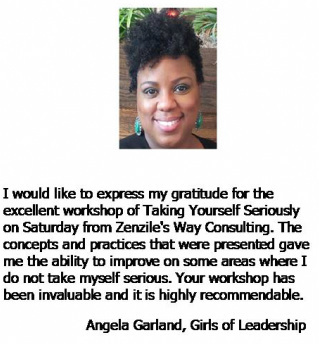 Zenzile's Way offers comprehensive personal , community and corporate/professional programming through a suite of services designed to bring out the best in the individual while building citizens who are assets to the entire community or corporation. Zenzile is a Xhosa word meaning "a woman who walks through the world with her own things." Through our life coaching, content writing, training and programming services, we seek to empower individuals and organizations in the creation of messages and events that are truly reflective of their unique positions, messages and goals. Through transitional life planning (life coaching), educational symposiums, health and wellness seminars, and empowerment programming, we offer a complete personally centered advancement service. Zenzile's Way caters to organizational markets through our use of comprehensive qualitative data collection and scholarly research methods to create culturally strategic pedagogy for corporate or community programming and events. Our company specializes in Communications in the form of Public Speaking, Business Writing and Marketing, Writing for Media, Speech Writing, Social Media, and Editing! We offer Programming for large, small and individualized events focusing on Communications, Health and Wellness, and Community Centered Initiatives. Finally, we are able to provide Strategic Life Planning services for individuals in major life/lifestyle transitions. Any number of our services can be combined or provided a la carte. We are only limited by your imagination! Keller Forums: The Keller, Texas community wanted an event that focused on love and money. Zenzile's Way created a presentation specifically for this event, delivered the presentation, including Q&A, and worked alongside other agencies to ensure a successful event for all involved. 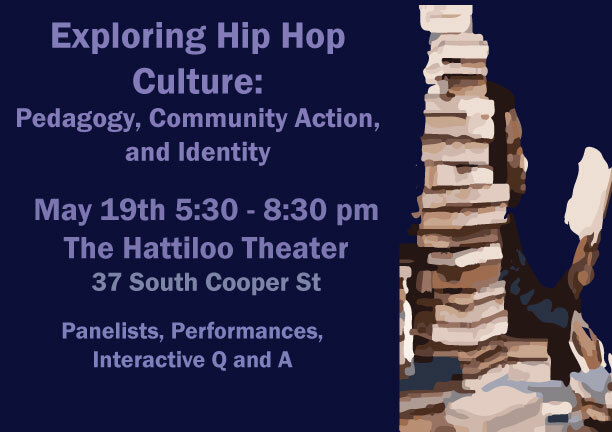 Exploring Hip Hop Culture: Pedagogy, Community Action and Identity. Writer and Emcee Danian Jerry, of Memphop group IMC: the Iron Mic Coalition, wanted a community focused event that would bring together artists, educators, fans and creatives in the city of Memphis to discuss ways they could all work together to further a positive narrative of hip hop while grooming the next generation of artists and fans. Zenzile's Way coordinated the event, assisted with organization, and covered the social media via our live, on site social media management service, Maqhu Media. and Artistic Works of a Writer, wanted to transform his blog, Rainbows and Lilacs, into a book. Zenzile's Way edited the posts, curated the content, and provided thematic organization, allowing Mr. Joyner to create his sophomore book. "Giovanni’s thoroughness and ability to set and exceed her own deadlines was quite impressive. To find an editor that’s able to critique your work and offer valuable feedback without your voice being lost or story being changed is every author’s dream. Above all her critical eye and insightfulness asked questions that challenged me to take my story to new creative levels. I couldn't have done it without Zenzile’s Way." "A resume and cover letter worth every penny :) It's Beautiful!" "You are amazing! Your expertise and creativity are more than I could have hoped for. " Copyright 2013 Zenzile's Way Communications, LLC, All Rights Reserved.